Are you attending or hosting holiday parties this Christmas season? 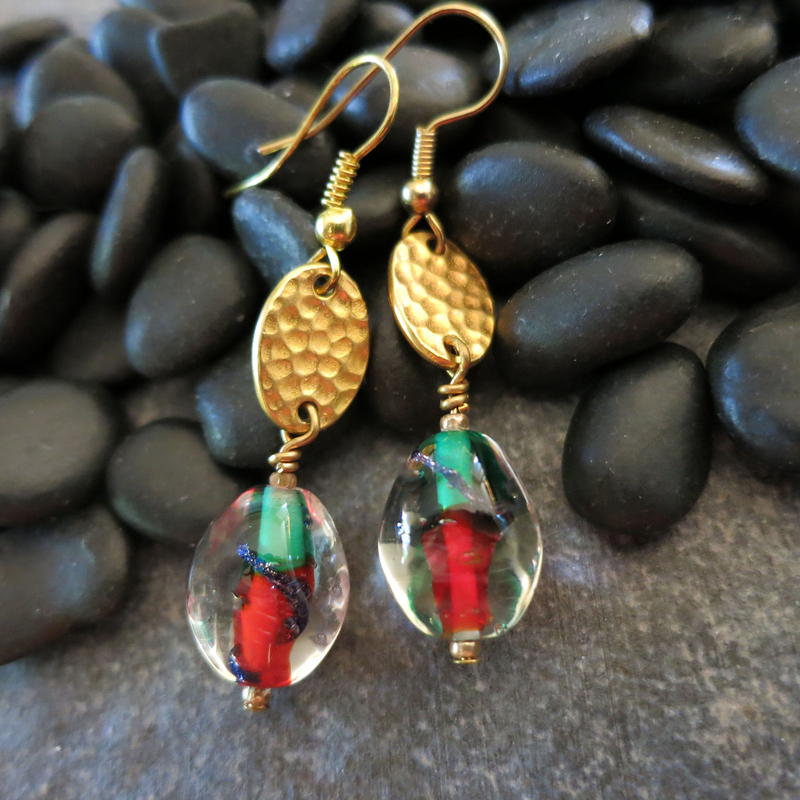 You will feel extra festive with these lovely, one of a kind earrings. 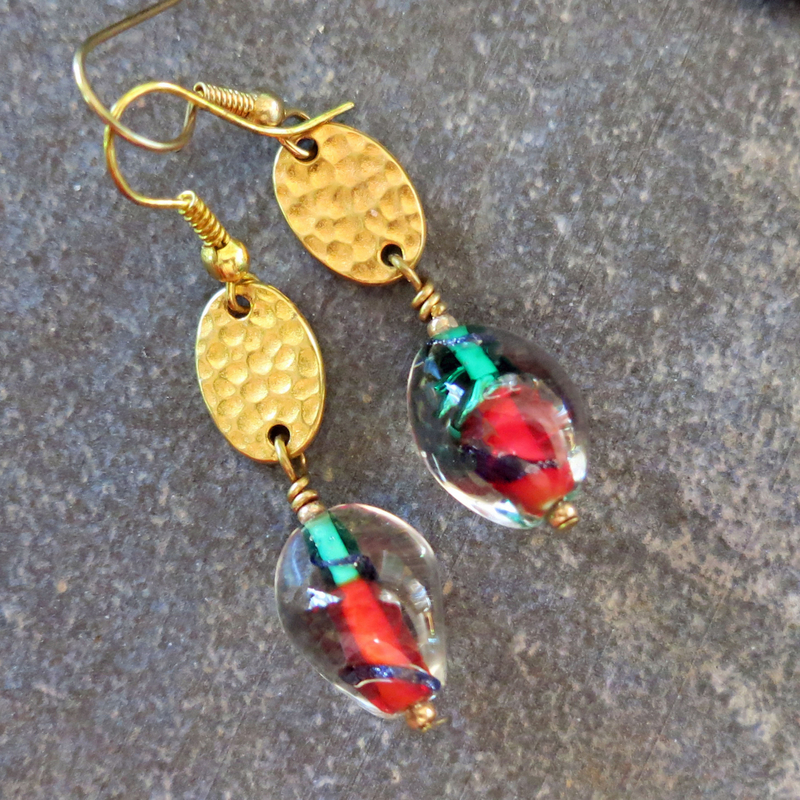 Handmade glass beads hang from shiny, hammered gold finish metal ovals. 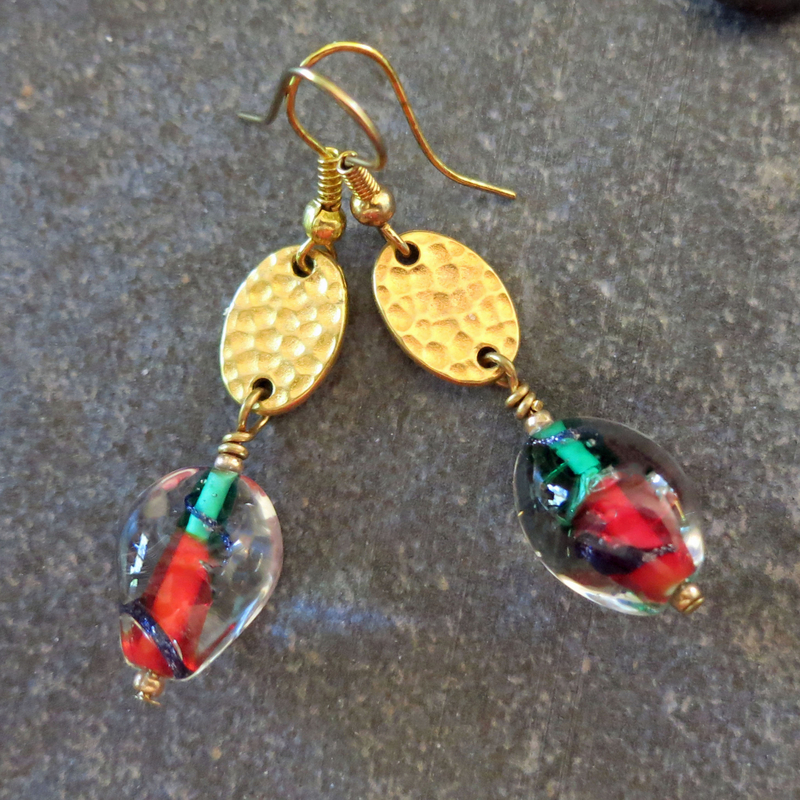 The pretty, clear glass encased beads are lined in red and green, with a subtle, sparkly swirl of blue. 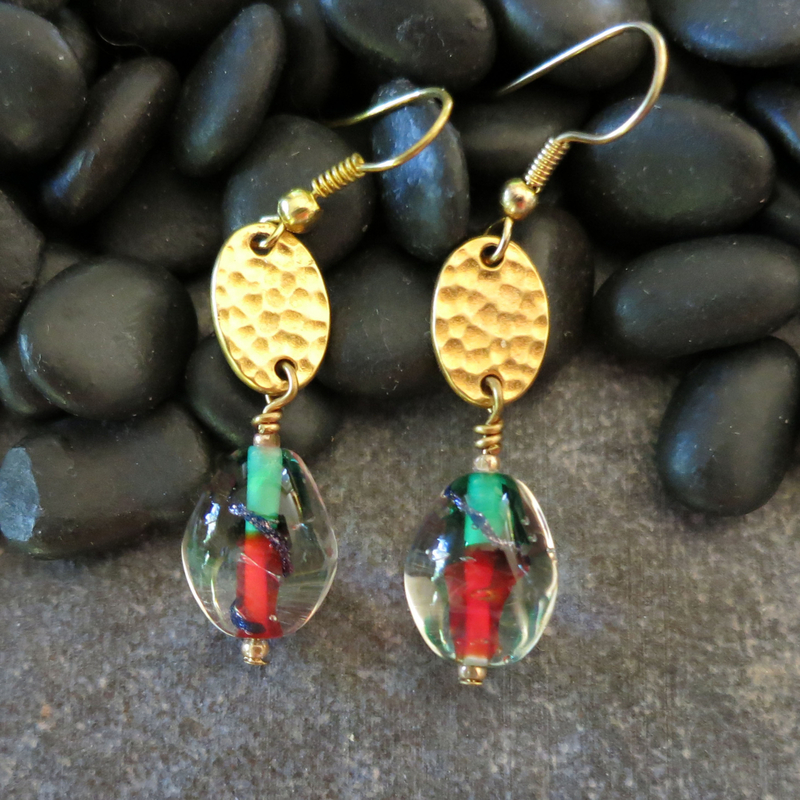 The clear glass on the outside of the beads emphasizes the feeling of depth and beauty in these beads. 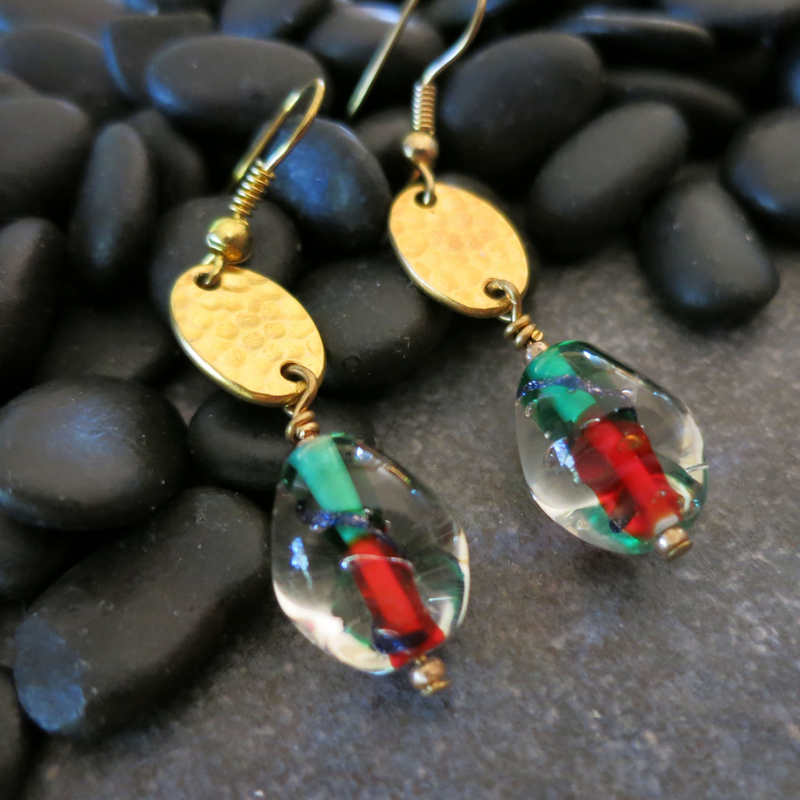 These versatile Christmas earrings look great at both casual gatherings with friends or at dressier occasions. 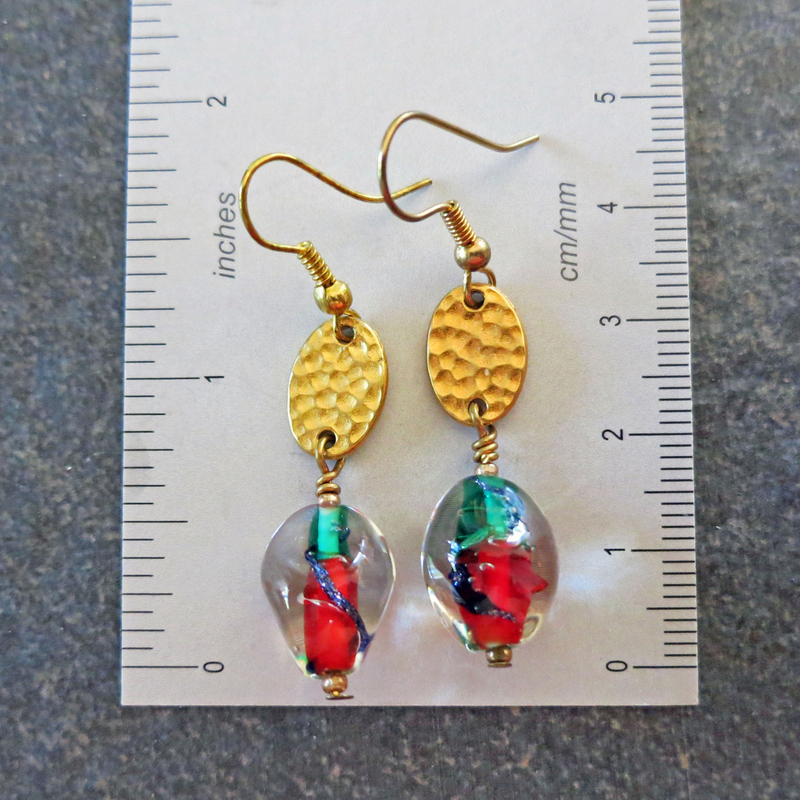 They would also make a gift that anyone would appreciate receiving!